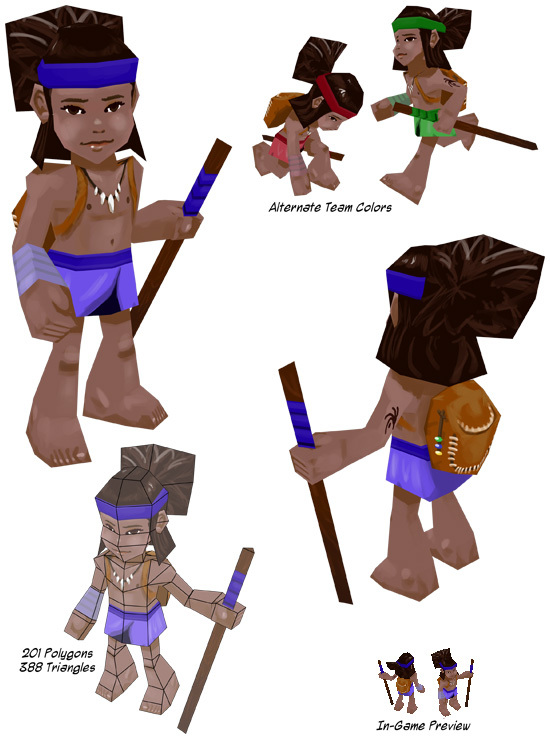 A low-poly character created for a turn-based strategy game prototype. The character needed to be fairly simple in order to read well on the screen at the small size it would appear in the game, and needed to be low-poly enough to display many at once. Modeled in Autodesk 3ds Max.